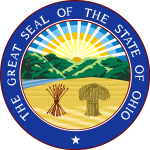 Available to all Ohio state and local government agencies. Mirrors Sirius’ GSA schedule (IBM products). Agencies can use the schedule as a “pre-competed” contract, as such they can order products and/or services off of the contract without going out to bid, at their discretion. State and Local Government contracts, purchases, or questions please contact Phyllis (PJ) Byrd at phyllis.byrd@siriuscom.com or 210-369-0617.